Mesa State College / Nursing Program:"The Baccalaureate of Science in Nursing (BSN) Program is accredited by the American Association of Colleges of Nursing, as well as the Colorado State Board of Nursing. This program is designed for high school graduates, Associate and Diploma RNs, and LPNs. The four-year program provides educational experiences to prepare a professional nurse generalist to practice in a variety of health care settings." Messiah College / Department of Nursing (BSN):"The mission of the Department of Nursing at Messiah College is to prepare the beginning professional nurse by providing basic professional education from a Christian worldview and within the context of a liberal education." Methodist Healthcare Nursing Programs:"Life is a precious gift. And caring for it is a tremendous responsibility. If you're interested in making a difference in the lives of the people of this community, consider a future in caring through Methodist Healthcare schools of nursing. The programs at the Methodist Healthcare schools of nursing prepare you to play important roles. When you finish, you will have the knowledge, technical expertise and confidence to start a rewarding career as a registered nurse (RN) or licensed practical nurse (LPN)." Methodist Medical Center of Illinois / School of Nursing:"As a Registered Nurse, a world of opportunity awaits you! At Methodist College of Nursing, we believe baccalaureate education is the cornerstone of professional nursing practice. Our program prepares you for a career as a nurse generalist, positions you to receive your licensure as a Registered Nurse, and lays the foundation for future graduate study in nursing. At Methodist, you will receive personal attention from our qualified faculty to help you make the most of your educational experience.Methodist College of Nursing is a private specialty college offering a baccalaureate degree in nursing." Metro Technology Centers / Metro Tech Practical Nursing (LPN):"Prepare to become a licensed practical nurse, an important member of the health care team who works under the supervision or direction of a registered nurse, licensed physician or dentist. The program is available as a 12-month daytime program that meets Monday through Friday or a 15-month evening program that meets Monday through Thursday, 3:00-9:30 p.m."
Metropolitan Community College / Nursing Program (LPN, ADN):"The Associate Degree nurse has both dependent and independent functions within the health care team. This nurse can select from a variety of therapeutic nursing interventions to provide care for clients. The graduate of this program is eligible to write the National Licensure Examination (NCLEX-RN) for licensure as a registered nurse. Associate Degree nursing graduates often begin employment upon graduation and licensure. Then they often take advantage of tuition reimbursement programs to work toward a bachelor degree or higher degreea in nursing." Metropolitan State College of Denver - Department of Health Professions:"The nursing faculty at Metropolitan State College of Denver wish to welcome you to our website. We are an RN to BS completion program for licensed registered nurses who are associate degree program or diploma graduates." Metropolitan State University / School of Nursing (RN to BSN, MSN):"Metropolitan State University has several options for completing either a baccalaureate or master's degree in nursing. The School of Nursing has developed learning opportunities designed to give individuals the theoretical and applied skills necessary for mobility and advancement opportunities in nursing careers. Students with an R.N. degree may be interested in either the R.N.-B.S.N. completion program or the R.N.-M.S.N. program. Students already holding a B.S.N. degree may apply to the M.S.N. program directly. And, interested students with a baccalaureate degree in another field but a desire for a nursing career will want to check out the new Accelerated B.S.N. program beginning in fall 2005." MGH Institute of Health Professions / Graduate Program in Nursing (MSN):"Advanced practice nurses are leaders in health care, engaging all kinds of individuals, families, groups and communities in the mutual pursuit of healing and wholeness. 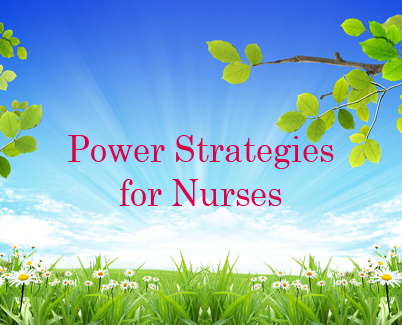 Nurse practitioners and clinical nurse specialists are prepared for distinctive and increasingly important leadership roles in a health care system that requires their independent decision-making ability and values their patient-centered approach. The development of scientific knowledge and clinical skills, combined with the humanistic caring of nursing, form the core of advanced preparation at the graduate level." Miami University / Department of Nursing (ADN, BSN):"The Department of Nursing offers two programs. The associate degree in nursing is a two-year program which prepares you for entry into nursing careers as a registered nurse. It is the lower-division curriculum for the bachelor's degree in nursing. The bachelor's degree in nursing is a two-year, upper-division program which prepares registered nurses for professional career advancement and graduate education."